I was an overweight, under-exercised asthmatic 12-year-old, low on energy, self-esteem and confidence. It was then I discovered rowing and a fantastic coach - within a year I was confident, fit, active and competing. By the time I was 17 my training had taken off and I was rowing at club level, loving every minute. Later that year, while studying for my A-levels, disaster struck and I was diagnosed with ME which I struggled with for around three and a half pretty unpleasant years. On the advice of my doctor and with my determination not to let the illness get the better of me, I took another A-level in Sports Science which led to studying for a degree in the same subject. Fortunately, by the end of my first year at university I was completely shot of ME, back to loving life and I graduated with BSc (Hons) a couple of years later. After I left university I travelled around Australia and South East Asia for 18 months. I worked as a fitness instructor in Sydney and studied the art of Muay Thai (Kick Boxing) in Thailand. And the best thing that happened to me while in Sydney - I met my beautiful wife Rhian! When I got back to the UK in 2004, I got a job as Fitness Manager at a health club where I started doing a little personal training as well. Keen to learn, I began to look for different training methods that could compliment my personal training. In 2005 I qualified as a Pilates instructor and began integrating Pilates into my training as well as teaching small group classes in gyms and businesses. It quickly became clear to me that personal training was what I wanted to do but training in a health club was pretty restrictive and a lot of clients weren’t reaching their full potential. That prompted me to form Matt Bryant Personal Training and set up my own studio. Once setup, I studied for the next level of Pilates and became an advanced instructor in 2007. At the same time I also studied for a diploma in sports massage with the London School of Sports Massage. Although working full time and studying for two courses was a pretty intense experience, the two courses actually dovetailed really well as both required a big understanding of anatomy and physiology. Both courses have given me great insight into injury management and recovery. In 2008 I revived my love for cycling, a sport I spent a lot of time doing as a teenager. This grew into a love (some say obsession!) 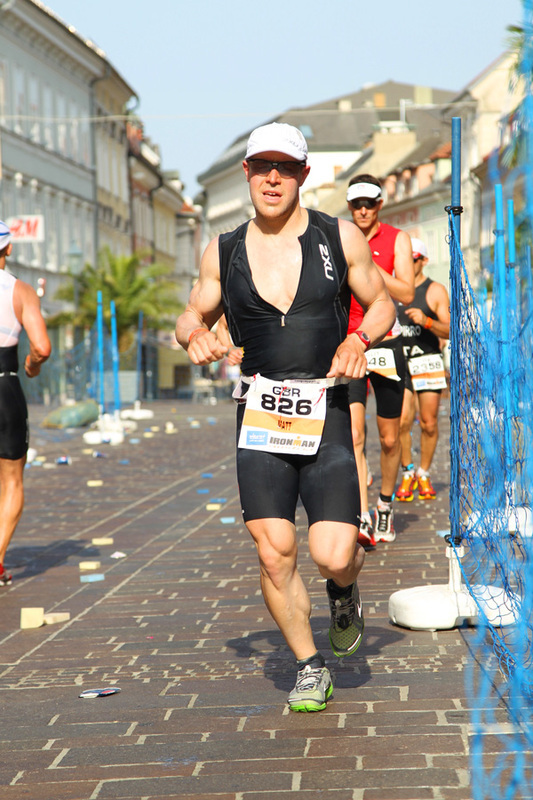 for triathlons. 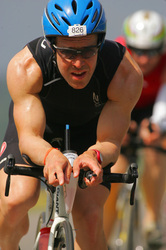 In 2010 I competed in my first race, the Hyde Park Triathlon in London. With this one under my belt I was hooked and have been ever since. Having returned to competitive sport I was really struck by how mind-set and thought process could make the difference between success and failure. After much research, in 2010 I embarked on a Neuro Linguistic Programming (NLP) course with Sue Knight. I learned so much about myself but also learned a lot that helps me to help my clients achieve their goals. 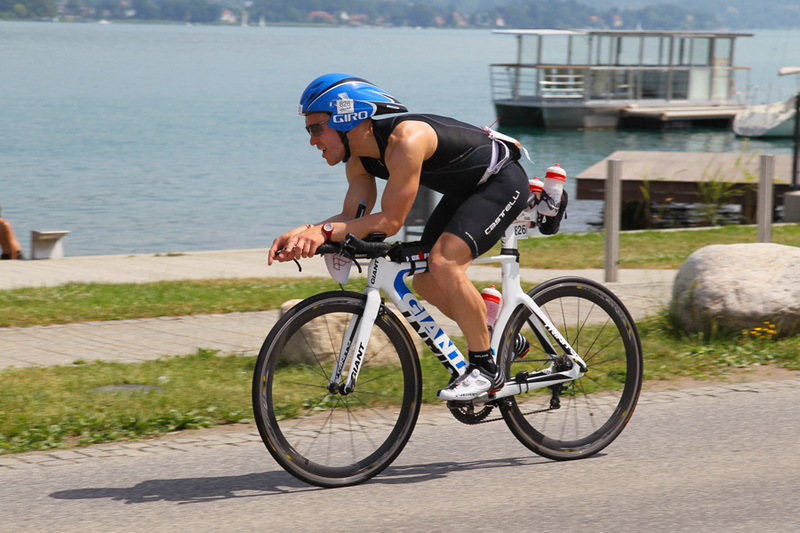 In 2010, due to an achilles tendon injury which meant no running and limited cycling I needed to find an alternative form of exercise while my achilles recovered. After a lot of research I started using kettlebells to keep me fit and sane. I quickly realised that they were a great all-round workout and wanted to include them in training sessions for my clients (who tell me they love them!) so I qualified as an instructor with Optimal Life Fitness. 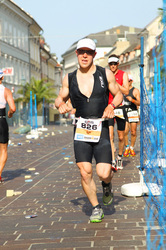 In July 2012 I completed my first Ironman in Austria in just over 11 hours. 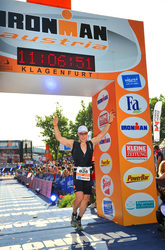 While disappointed not to break the 11 hour mark I loved every second of it (except the 38 degree heat that day). Through working with my Ironman specialist coach I now have an even greater understanding of endurance sports and what it takes to realise your full potential.